1001 Mousse for Carpets & Upholstery (350ml) is ideal for use on carpets and upholstery. 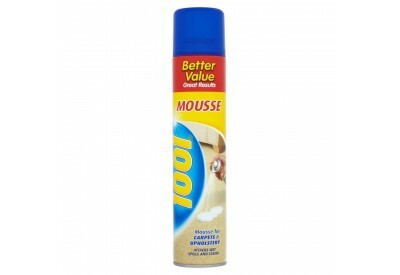 1001 Mousse is the speedy solution for treating wet spills, stains and for removing dride-in-dirt. The unique formula works its magic deep-down into the fibres to remove stains like red wine, tea, juice or mud really quickly.